Congratulations to our partners in ice cream....Johnson's Ice Cream. Please read and see why Village Ice Cream carries the best in family traditions and quality! 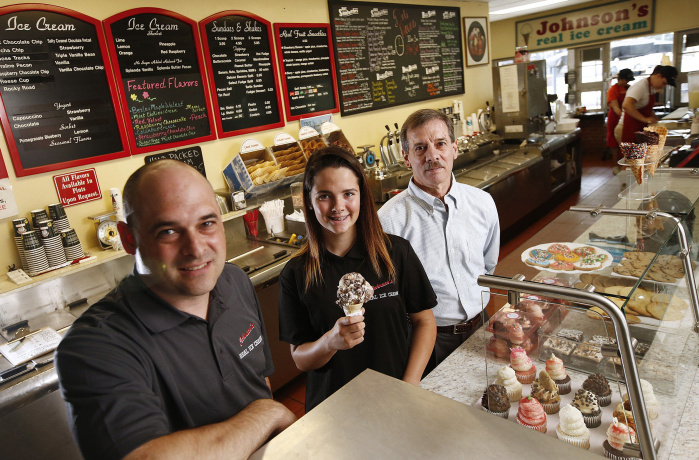 Johnson’s Real Ice Cream’s menu features an array of 85 flavors, but Matt Wilcoxon, owner of the Bexley company, prefers vanilla. Triple bean vanilla, to be exact. “You can tell the quality of an ice cream by its vanilla,” he said.